In a Credibility Pageant most of you wouldn't really choose Lipstick & Gelato as the finest, most upstanding example of a clean-eating blog. You know I love to write about croissants, ice cream, lattes, and macaroni and cheese. But in reality, these treats don't make up the majority of my diet. I love to eat and cook healthily. Proteins and I are buds, and I had trouble not being distracted by Commune's roasted veggies while chilling with a giant s'more's croissant. You'll be seeing a lot more of the healthy, whole, rejuvenating foods on Lipstick & Gelato this year and I can't wait to share the delicious meals my family and I eat on the regular. Don't worry - I'm not cutting out everything like Liege waffles or chai tea cake. The non-shrinkage recipes will just be shuffled in a lot of the things that I choose to cook more often. To celebrate the fun to come, I wanted to share five things that have made cleaning up my eating act easier over the years. The clean eating is nowhere near as hard for me as committing to exercise. I love to cook (and eat). I hate working up a sweat unless we're talking dance parties or a hike in gorgeous country. 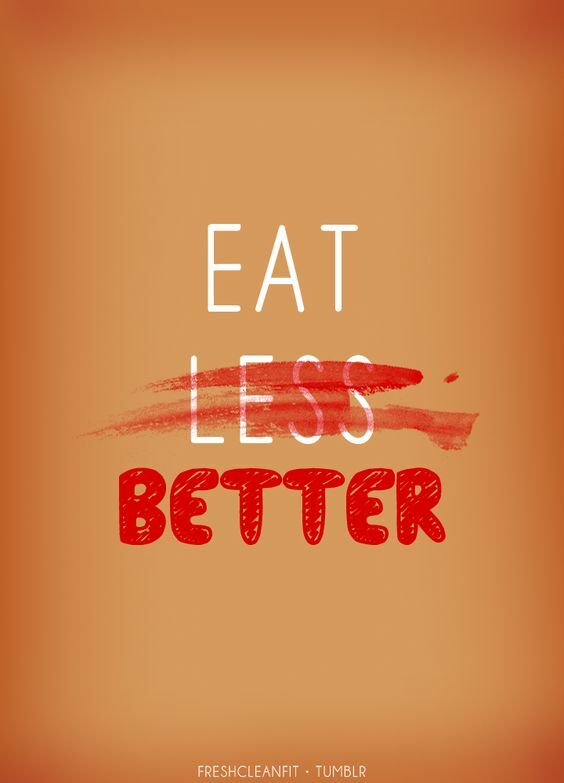 So breathe easier, carb-loving friends. It isn't all bad. I recently read an article which mentioned that Blake Lively - legendary actress and fashion maven - gave up gluten and soy when preparing for her role in The Shallows, but permitted sugar to remain a part of her diet. The reason this is a good idea? Cutting out soy (which I believe is especially vital for women's health) automatically discounts most processed foods including salad dressings. When you switch to making everything you eat, you're in charge of what's going in your body and nobody can sneak in extra sugar, fake things, and unnecessary additives. Though I still use a bit of soy sauce when cooking Asian-style, I avoid it otherwise and really don't find it that difficult to cut out. Almost no one actually likes to wake up earlier than necessary, but trust the experts: with breakfast being heralded the most important meal of the day, you'll want to set a slightly earlier alarm. Look for foods high in protein or whole grains. Or protein and whole grains. Make a shake with berries, Greek yogurt, and chia seeds for an extra wallop. Poach an egg and eat it with sprouted grain toast. Cook a piece or two of bacon - don't be afraid of bacon - with sweet potatoes and kale and serve with an easy-over egg on the side. Setting yourself up with a full tummy at the beginning of the day majorly cuts cravings later on. The worst idea in the food world (to me) is the idea of having "cheat days." This sense of shame attached to dessert or non-substantial carbs is debilitating and ridiculous. You should have days where you choose a treat and consume it with glee. This isn't deviating from your plan, this is part of your plan. When you include the possibility of less healthy items now and then you can smugly chow down on chocolate cake while the rest of humanity blushingly admits that they're "cheating today." Eat well 80% of the time and live a little in the pretty 10% margins on either side. Hailing the sad state of tip #1, most processed foods are terrible for you. Even foods like "gluten free crackers" are still usually not the most nutritional or worthwhile choice. The absence of wheat doesn't mean the absence of sugars, soy, highly processed grains, and other excesses. But unless I prepare and stock the pantry and fridge with things that are actually nourishing, I skid home at 9 PM and end up having to grab the easiest thing before jumping into the laundry list of things awaiting my attention. Have raw nuts, seeds, dried fruits, popcorn kernels, nut butters, veggies, hummus, and fruits on hand. Also, dark chocolate (70% cacao and up) covers a multitude of foods and sins. If you work in a place with a fridge are able to prep snacks, bring your own so you don't succumb to the lure of Goldfish crackers at 3 PM. Shameless plug, I know. Actually, this is a routine and beloved part of my cooking life. I am that person who hates getting in a food rut almost as much as she hates wearing the same thing two days in a row or hearing a family member tell their super long and random dream for the third time. Unless I keep inspired by a rich parade of recipe ideas, I'm likely to feel less than enthralled with the task of cooking a healthy dinner. Inversely, you show me what you're making for dinner or hand me a cookbook stuffed with gorgeous photos and even more gorgeous flavor combinations and I'm happily installed in the kitchen listening to "Another Day of Sun" while mincing onions and flipping chicken breast in my biggest cast iron skillet. Read food blogs and actually try the recipes - you'll be amazed at the chutzpah this gives your cooking mood. This was great and super encouraging, thanks Rachel! Good points! I especially agree with the 3rd point. A lot of GF 'healthier' snacks are still full of junk. This is really good! I can't eat soy anyway, so that's not a problem; but I loved your point on "cheat days." Coconut aminos are a great soy sauce substitute when you are making Asian food.